Buttonhole foot # 3 is ideally suited to sewing buttonholes, as well as gathering with cord or elastic (smocking). 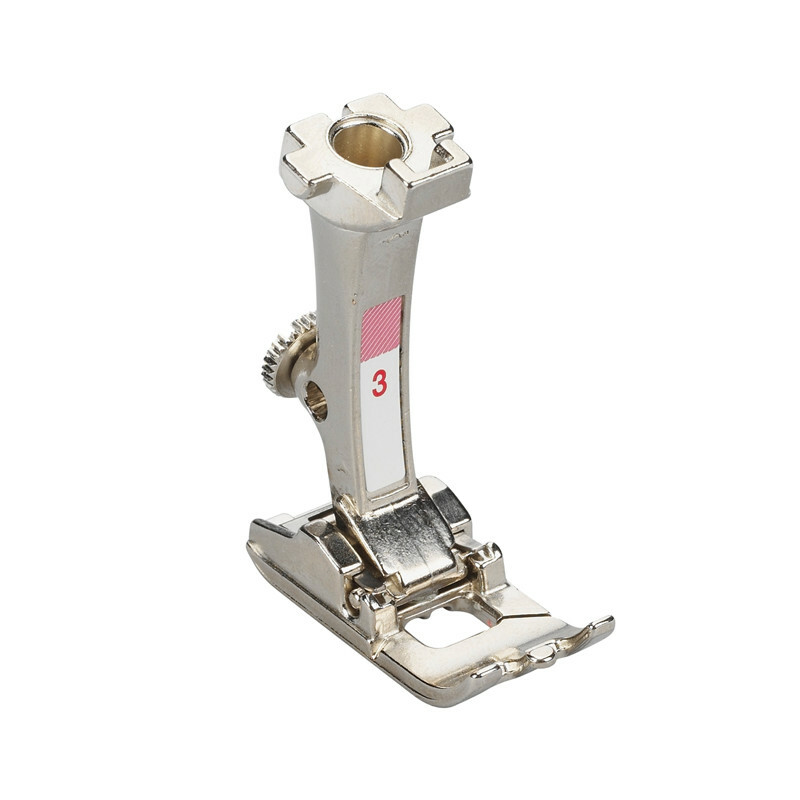 Thanks to its practical grooves, Buttonhole foot # 3 is able to glide smoothly over the thread beads of the buttonhole, enabling particularly easy and precise sewing. The upper thread can be conveniently pulled to the back through the slot in Buttonhole foot # 3 before you begin sewing. In this way, attractive buttonholes with and without cording can easily be sewn in the desired length. Discover this versatile choice for buttonholes and decorative work that is Buttonhole foot # 3, now!